Sometime ago, i posted a story of an iPhone 7 that reportedly exploded in China while the owner was trying to record a video with it. While many Samsung/android fans tried to justify the Note 7 fiasco with the story, the iPhone fans on the other hand came to the defence claiming it might have been a clone iPhone 7 since the incident happened in China while many others claimed the incident might have been architected by Samsung due to what happened their Note 7. Now another incident of an iPhone 7 exploding has just been reported and this time around its in Australia and not China. An iPhone 7 user by the name Mat Jones left his phone under a bunch of clothes inside his car while he went to take a surfing lesson. 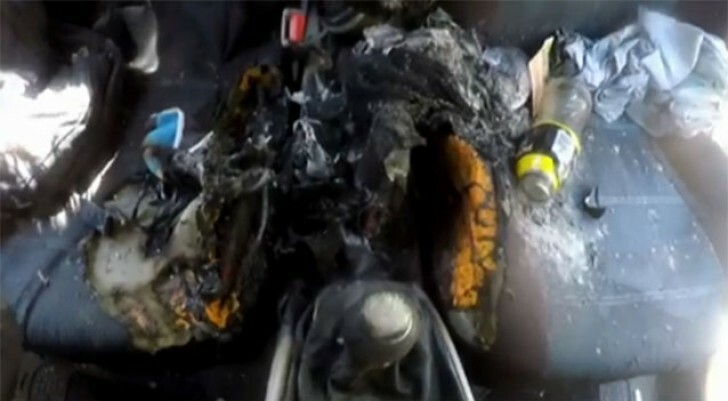 When he returned he realised that the interior of his car was filled with smoke. His heated iPhone 7 has ignited and smoked the interior of his car. Since the iPhone 7 was placed under a bunch of clothes and the car was packed very close to a beach. It's possible that the heat that build up inside the car might have lead to the phone over heating and igniting in the process. But we don't know for sure if that's the case or if it was caused by a defective battery. 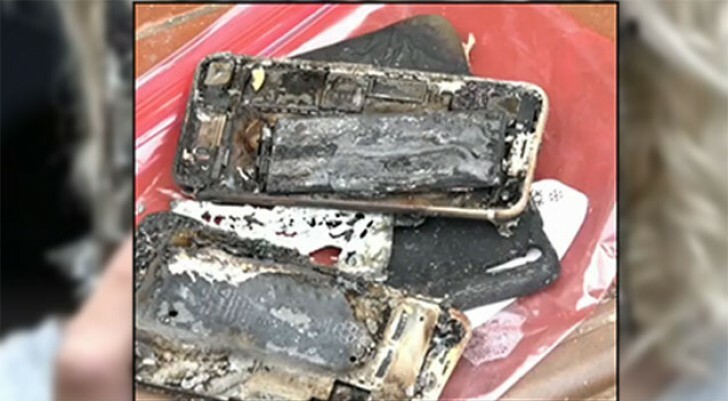 According to 7 news, iPhone is already aware of the incident and they are already investigating the cause of the ignition to know if it was caused by a defective battery or not. So now to the iPhone and Android fans. What is your take on this story and the battery exploding fiasco that has increased in the last few months. I will advice everyone irrespective of the phone you are using to always take extra precaution when handling your device. Try not to keep your phone very close to your bedside or any flammable object especially when charging. The fact that your smartphone is powered by a lithium ion battery simply means this can happen to you.